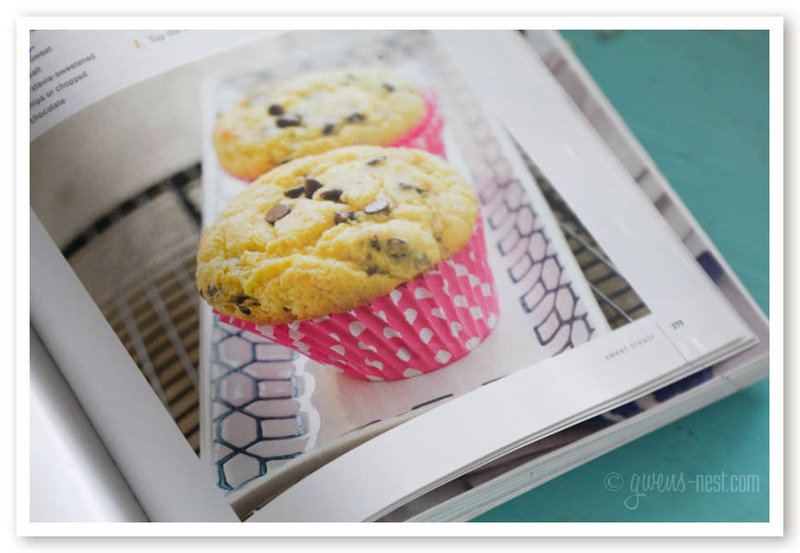 Cooking through the Trim Healthy Mama cookbook has been such fun! With over 350 recipes, I’ve barely made a dent in this tome of healthy low-carb and slow carb recipes- there are literally dozens of recipes that I’ve marked and can’t wait to try! I was given a copy of the Trim Healthy Mama Plan and Cookbooks for the purpose of a review, but the opinions expressed are always my own. And the dag-nab-it truth. 🙂 I thought you’d enjoy seeing the ones I have tried, and taking a peek inside with this review. If you’re new to the Trim Healthy Mama lifestyle, then take a peek at my review of their original Trim Healthy Mama book to get an understanding of what I’m talking about below when I reference S, E, and FP meals. I also review and compare their updated Trim Healthy Mama Plan book here. My first tip for this book is to buy it. (here it is on Amazon via my affiliate link) It’s awesome and you won’t regret it! My second tip is, if you’re new to the plan and the Trim Healthy style of cooking, read through the introduction. They’ll walk you through the different unusual ingredients that you may not be familiar with. If you *are* somewhat familiar with the plan already, flip right to page 29. You’ll find an orange chart that has very useful info, like what the initials NSI mean, and the measurement of a scoop of collagen. It’s worth flagging this page with a sticky note. Another new feature that’s super hand is color coding on the recipes and in the section dividers that list the recipes for every section. An orange title means that this is an S recipe. This makes it as quick as a glance to know whether the recipe is an S, E or FP, and it’s easy to skim through the soups or muffins and choose an E or FP option based on the color coding. If a recipe has all 3 color dots, then you can expect to see suggestions on how to make it into each one of the three types- adding some healthy fats to move it into an S meal, or a healthy slow carb to create an E version. This is much clearer than it was in the original book, and I LOVE the use of colors! You’ll also find GORGEOUS photography all through the book. 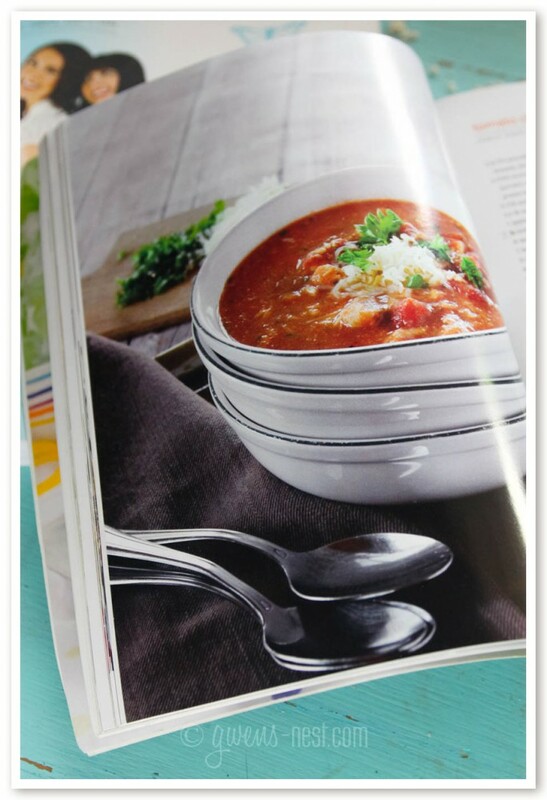 Every recipe is not pictured, but there are tons of full color photos in here. Which I totally love. Rohnda M. from the Trim Healthy Mama Facebook community was the official photographer, and she did an INCREDIBLE job. Yay, Rohnda! 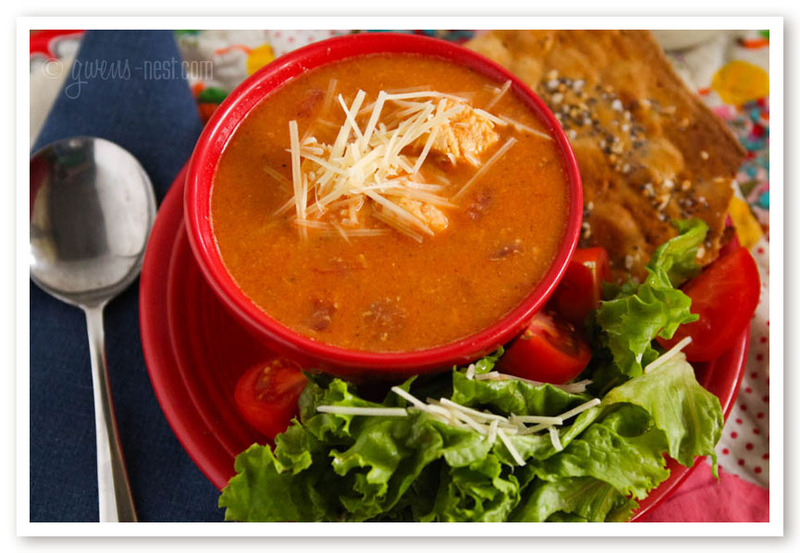 This is the Tomato Chicken Bisque recipe from page 93. Next, I tested out the Choc Skinny Chip Muffin from page 279. I tested this one out for the sake of science, and also because I wanted to try out the bag of Trim Healthy Mama Baking Blend I’d just purchased. 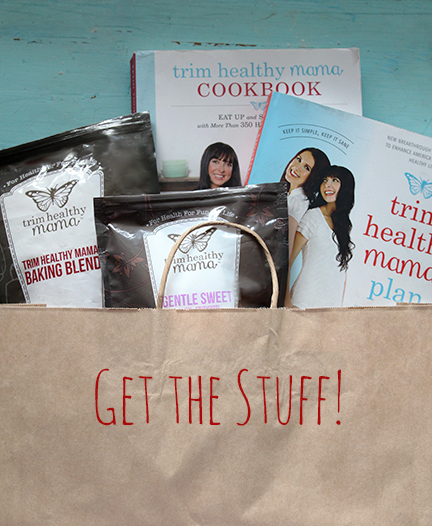 Which brings me to another thing you’ll find in the new cookbook: the Trim Healthy Mama ingredients. If you love your baking blend, there are lots of recipes to put it to good use. The original book had their recommendations for the brands of stevia, protein powder, and more that the sisters liked and used–when it was published over 3 years ago, there were no Trim Healthy Mama ingredients. But sadly, within months of hitting the bookshelves, the brands that they liked and recommended started reformulating and were either no longer on plan, or just not as good. That’s when the sister’s decided to launch a line of products that meet their high standards for taste and purity, with a devotion to keeping very competitive pricing. I have to say I’m a big fan of all of the products I’ve tried. But don’t worry…this is not an all THM products or Baking Blend cookbook (although, that IS a great idea for those of us who love it!) Many of the recipes that call for special ingredients ALSO give substitutions for using other more common ingredients as well. And a majority of the recipes are labeled NSI, meaning No Special Ingredients are needed. The sisters understand using what you have on hand, and making do, so they give their blessing to use what you’ve got! But they’d love it if you want to try some of their top quality ingredients too. 🙂 Here’s my affiliate link to the official THM store, where you’ll find their products, or to Amazon where you’ll find their new books. Back to the Choco Skinny Chip Muffin- it was SO delicious! I’m kind of in love with the Baking Blend- the texture is so much nicer than the psyllium and coconut based muffins that I used to make. This just flat out tastes naughty, but it’s totally not! I’m a cake for breakfast girl at heart, so this brings me SO much joy. Another really helpful feature of the cookbook is that they offer single serving size recipes for things like soups, muffins, salads, etc. and also large family sized meals and portions. But when I say large…I MEAN large. The Cowboy Grub on page 59 has become a family favorite here! It makes a GINORMOUS serving…much larger than 6-8 servings listed. I recommend adding the word “lumberjack” servings to your book, or just scratch 6-8 and write in 10-12. 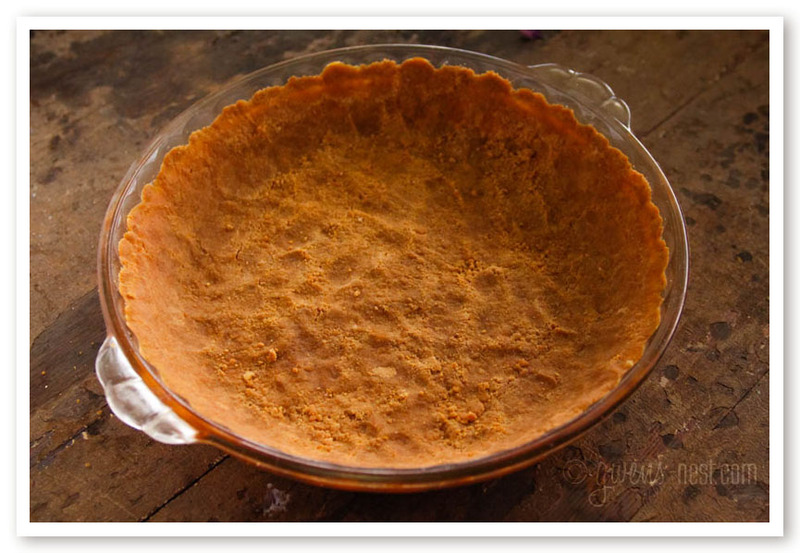 Next, I tested out a tricky recipe- a pie crust. Even standard white flour crusts are a challenge to get right, but add in the challenges of using low carb ingredients, and you’re really pushing the envelope. I like my pie crusts to be crisp and *not* mushy. And I really don’t care for the texture of almond flour all that much. 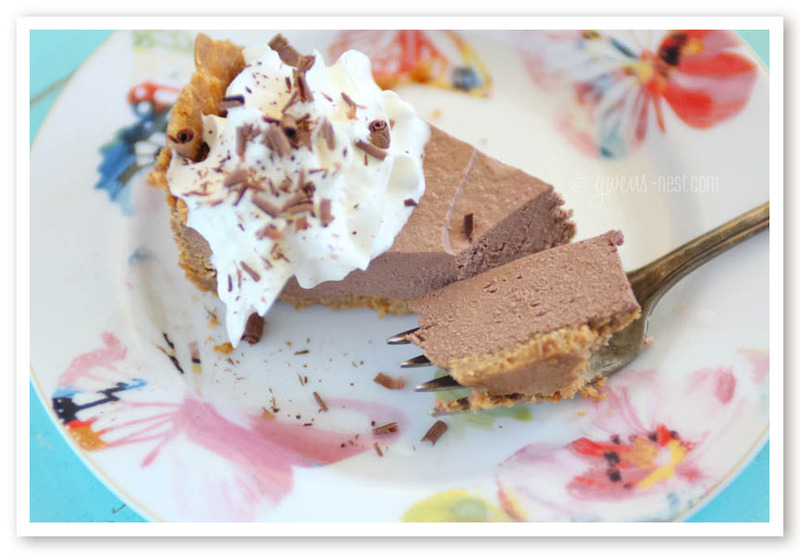 So I tested out the Simple Simon Peanut Pressed Crust on page 324. I was a bit of a rebel, which honestly is not unusual for me when it comes to recipes. I didn’t use my food processor because (true confession) I don’t like washing it. So I just used a fork to blend the ingredients, and that worked just fine. I also wanted it to be extra crisp, so I baked it for about 15 minutes in a 350* oven. Overall, it was pretty good…it was crisp and peanutty, and it held its shape when cut. But I’ll probably tweak the salty/sweet balance a little more next time. And the crust was very, very, very thin. So I may just increase the overall recipe by about 1/4 to 1/2 more for every ingredient. Overall, this one has really good potential. If you make a crust, then you simply MUST make a pie go to with it. So I chose the Secret Silk Pie on page 330. This is one of the recipes in the new book that calls for a VERY odd ingredient. One that you’d never, ever suspect would be in a pie. Or in brownies. Do I dare give it away? I don’t think I will. Suffice it to say that my family is more apt to try my treats if I don’t tell them what’s in it. I’ve heard very good things about this pie, but I have to say that it wasn’t my favorite. The texture and flavor just weren’t really hitting it for me. Although it looks really lovely, it’s not quite as silky as I wanted it to be. 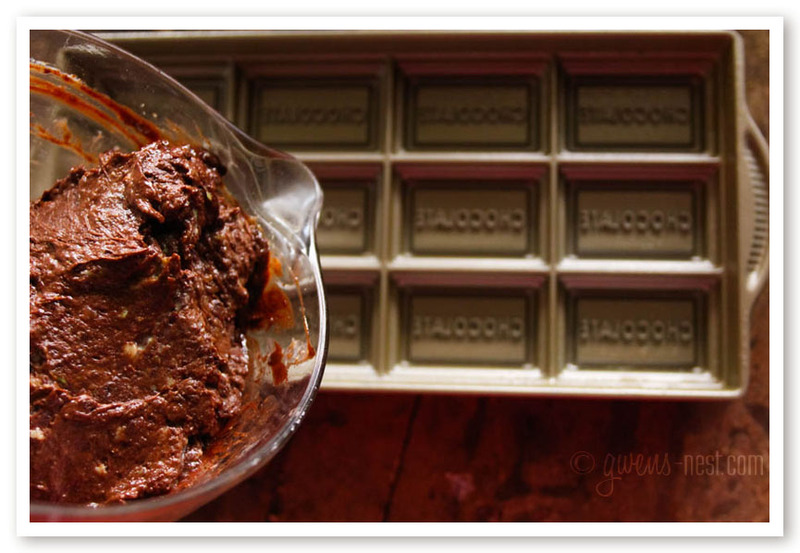 I am a self-diagnosed texture and chocolate snob, so this is one that I probably won’t make again. But like I mention- I’ve heard rave reviews from others about this same recipe, so try it for yourself before listening to my picky palette. 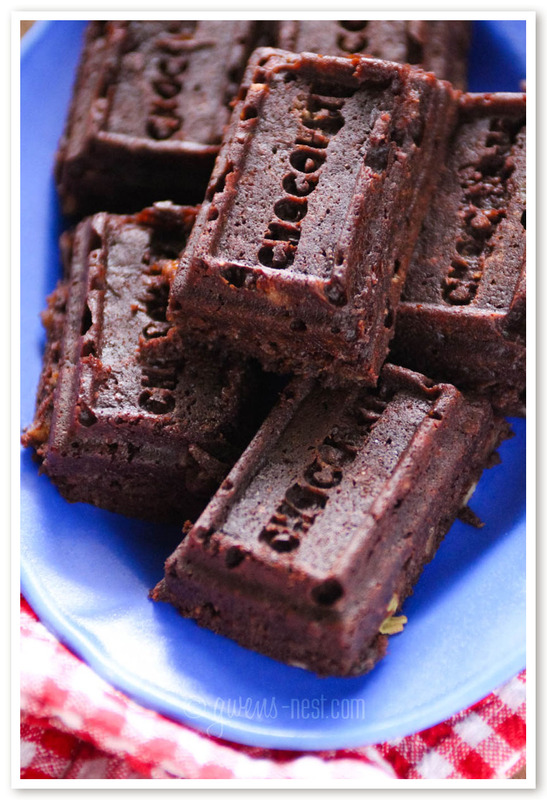 HOWEVER…the Cry No More Brownies on page 314 are SO yummy! I’ve made at least 3 batches of these, and they pass the texture and good chocolate test with flying colors. You’ll just NEVER guess that weird secret ingredient–once it’s blended into the batter, you’ll never know it’s there. I even took these to a dinner party and everyone really loved them…and THEN I told them that they were sugar free, dairy free, and contained a VERY weird ingredient. In hind sight, that may not be the best way to win friends and influence people…nor get a repeat invite to dinner parties. But I’m sure they forgave me because I left them some more brownies. 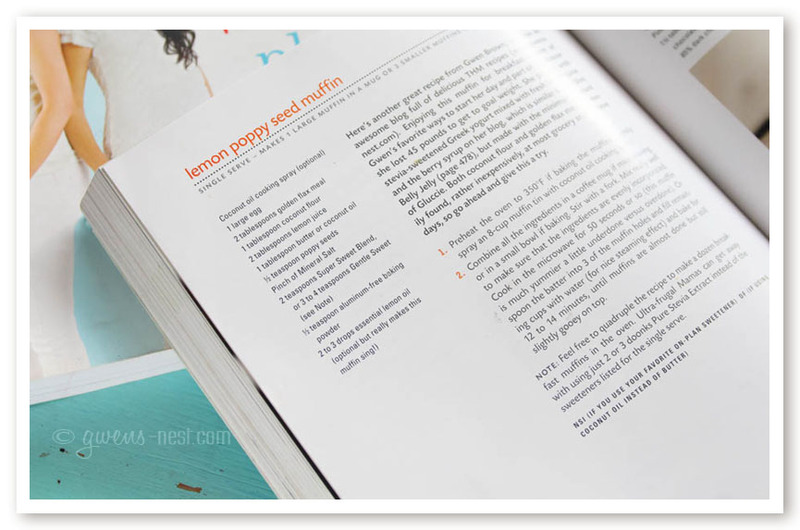 Many- but not all- of the recipes from the original book are found in the new cookbook, but you’ll find LOADS of new recipes. This is a HUGE cookbook, compiled from many different contributors, including community members, bloggers, and the personal recipes of Pearl & Serene. One of the challenges of creating a cookbook on this scale and with this many authors is consistency with results. 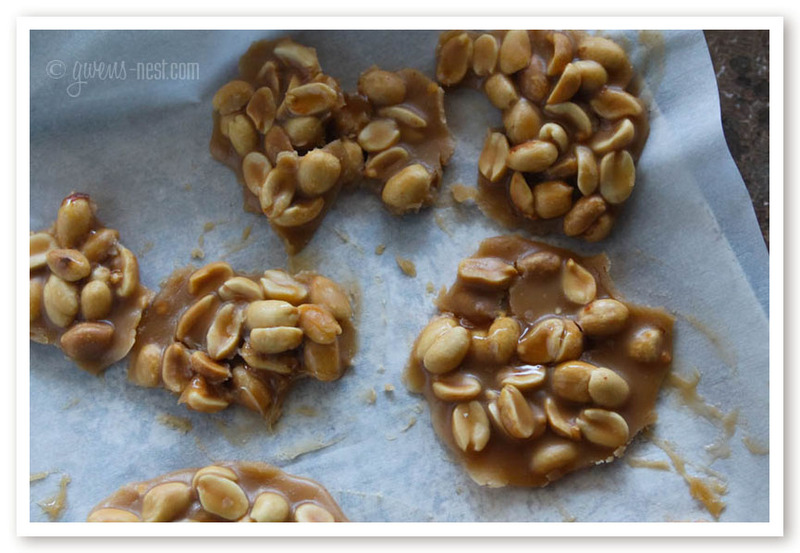 The Payoff Days Candy on page 381 is a recipe that I struggled with. And I’m not the only one. Turns out, candies are tricky, and you really need an exact time, OR a candy thermometer to get consistent results. So “cook until the mixture reaches the desired caramel color” is too vague. Don’t get me wrong…the results are delicious no matter what, but I got everything from too-soft-to-pick-up to something similar to pralines. I found that hitting the low boil mark and stirring for 4 minutes in a medium saucepan works to give me pretty consistent results. But even then, candy is finicky and does best if you make it on a dry day. **UPDATED TO ADD** Turns out I got a first edition of the cookbook. The cooking instructions, “Boil gently for 6 minutes” and the corrections below have been updated since then, so your book may not need any corrections! Even the end of the book is thoughtfully done. If you’re new to the plan, you’ll also like the handy Meal Recap in the appendix, page 497. Another BIG plus that I liked about this book vs. the original is that the new cookbook has a much better formatted index, so it’s easy to look up recipes that use beef, or oats for instance. I do wish they would have included Baking Blend in the index, so I could look up the recipes that call for it. But overall, it’s 100 times more useful than the original index, that only listed the recipes by their creative titles. 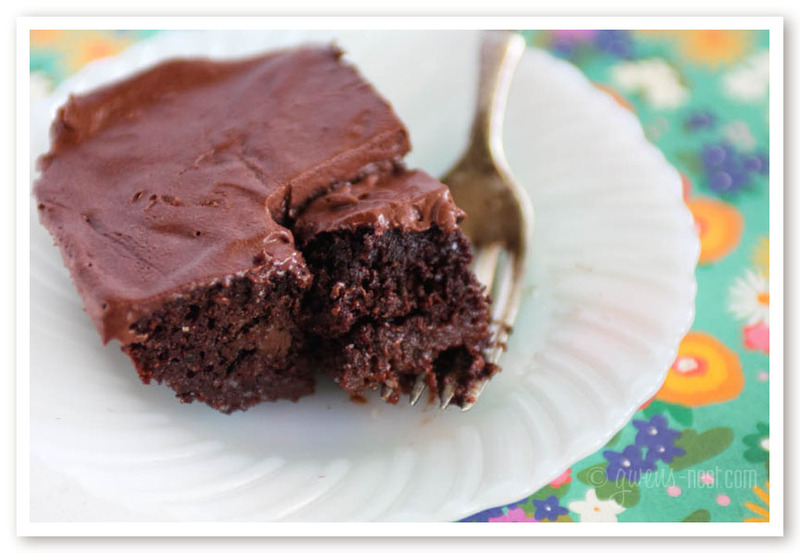 The Trimtastic Chocolate Zucchini Cake on page 296 is a MUST make! I know I’ve been a little “honest” about a couple of my results with this review, but please don’t let this discourage you from owning this book. What it lacks in precision on just a couple of points, it MORE than makes up for in innovation, heart, sheer volume, and beauty. Not only is it packed full of mouth watering recipes to support your health, but it brims over with the enthusiasm and sweetness of the authors and their families. This is definitely a cookbook worth owning and loving. It’s gorgeous, comprehensive, and very well done. 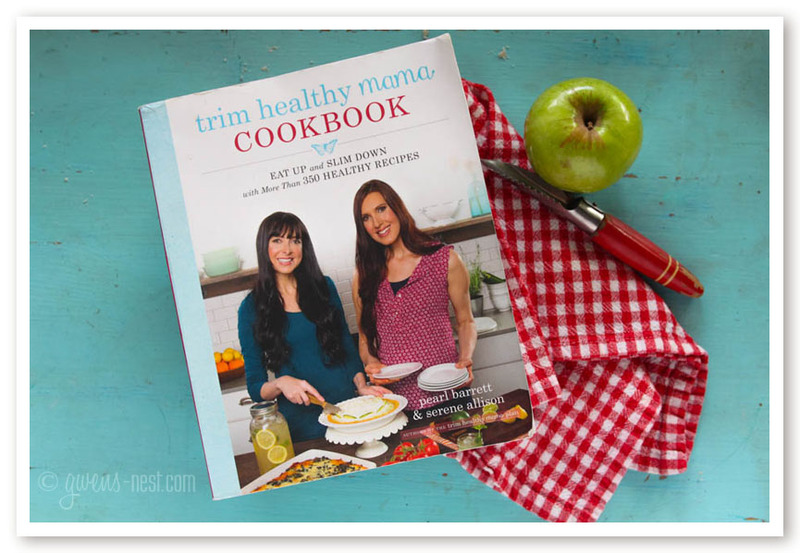 I’ve thoroughly enjoyed cooking with the new Trim Healthy Mama cookbook, and have really only scratched the surface…there is SO much more that I want to try! Many of the recipes that I’ve tried have become family favorites already, and for me, that’s the most important qualification for a cookbook that’s worth owning. Lucky you! 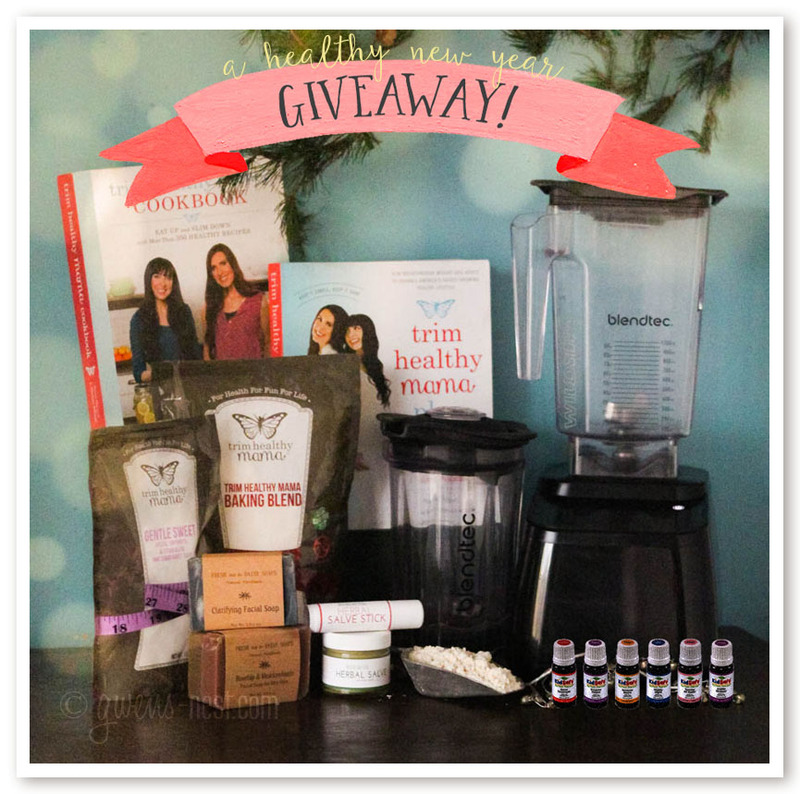 I’m hosting an incredible, EPIC giveaway this week that just *happens* to include a copy of the Trim Healthy Mama Cookbook, products, and LOADS more…it’s over $700 in value! 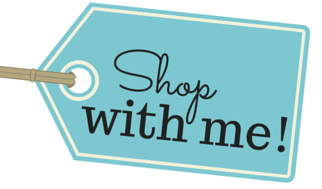 Hop on over, and see what else is included and enter to win! To Pin! 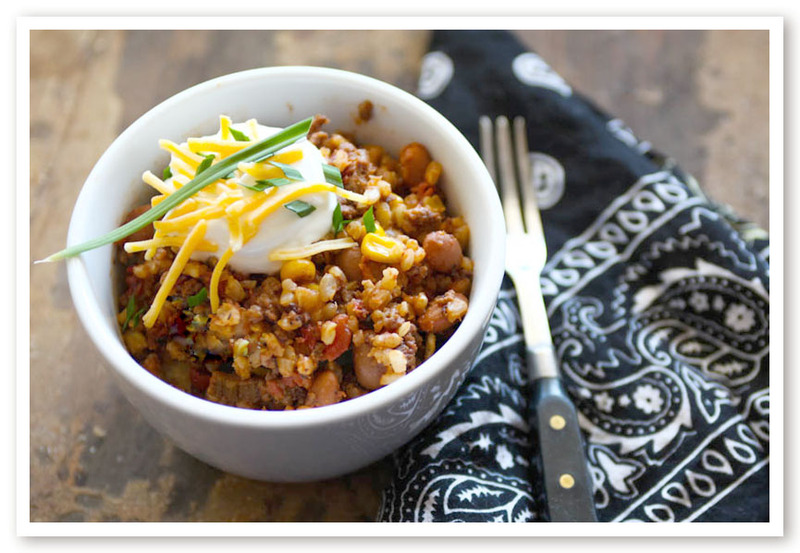 Follow me on Pinterest and never miss a recipe! 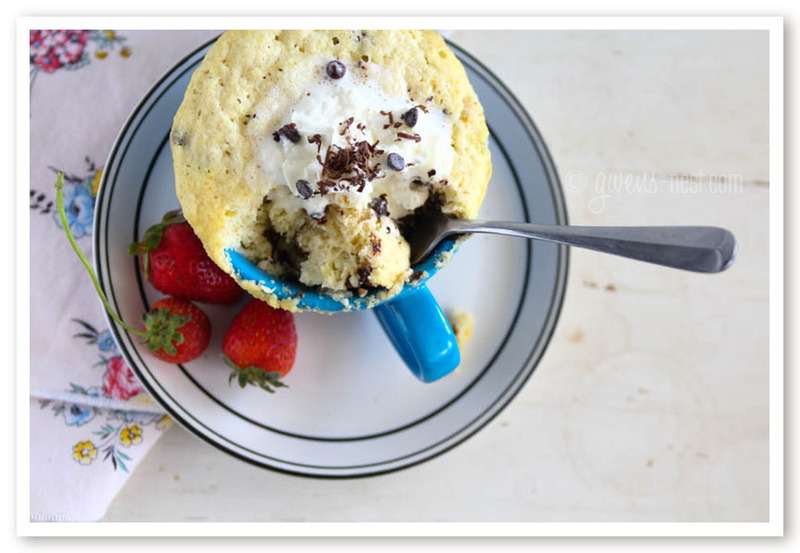 Follow Gwen’s Nest’s board Gwen’s Nest Healthy Recipes on Pinterest. « My Favorite Things Giveaway! Gwen, I just want to say I appreciate you and your blog! I no longer have facebook (which I miss your herbal chick chat and THM group the mostest) and can not see any of the corrections. I must too have the first edition cookbook, could you tell me what the measurement of the baking powder for the chocolate chip muffins is? I made one the other day and didn’t even think about that. I just thought it turned out funny cause of making it in the microwave. Thanks and Merry Christmas!!! Every time I click on the link to the book corrections, it tells me I don’t have access to the content. I’m guessing I’m not a member of the particular Facebook group and so that information isn’t available to me. Is the information available elsewhere, or can you link to the Facebook group so we can gain access to it in order to get to the corrections? Thanks! Here’s the Trim Healthy Mama Facebook Group. I too LOVE the cookbook! I love the format of it and the pictures! Makes this way of eating so much easier to recommend! Thank you so much for reviewing some of the recipes in the new cookbook. And thank you for being honest! I’ve tried at least 15 of their recipes in the last 3 weeks and 90% are tasty to me and my family. I’m with the other gal on here that says your chocolate covered cherry shake is THE BEST THING EVER. Awww! Thank you SO much, Deanna! 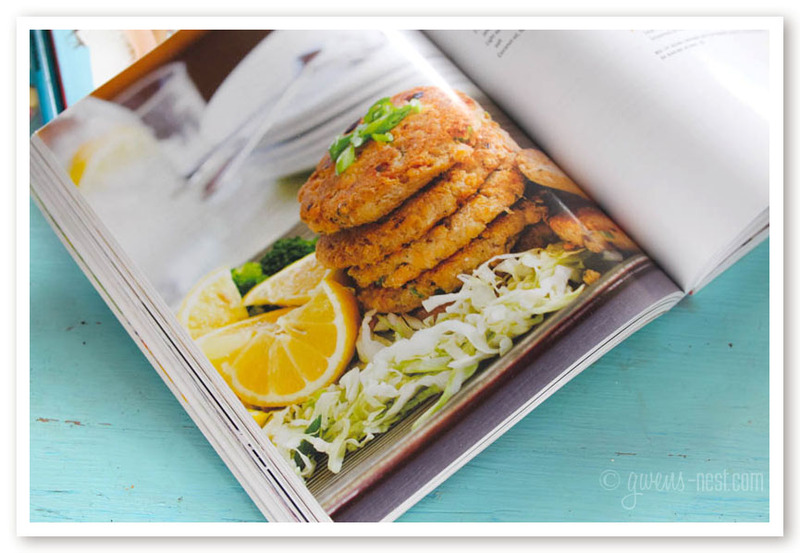 I also really love my THM cookbook…SO many yummy recipes to try!